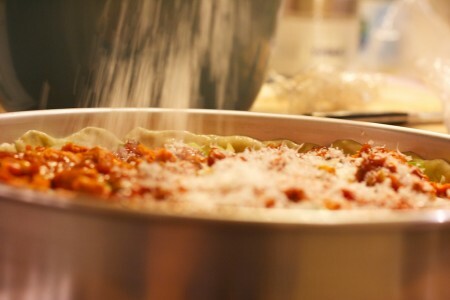 Last week, I went to the Miller Abode, and along with Emily, we made some deep dish deliciousness. 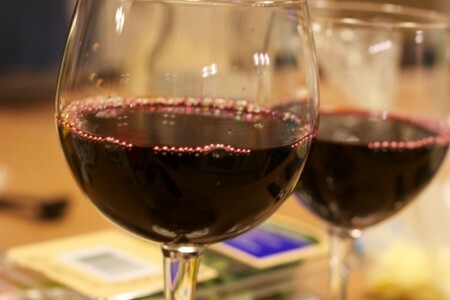 The night wasn’t just about pizza, it was also about wine. Mmm, wine. 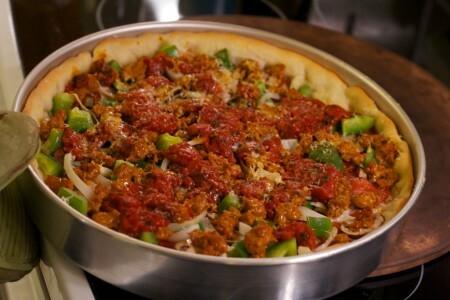 Sprinkling the parmesan on the deep dish pizza, we layered some sauce, sausage (SPICY! ), salami (SPICY! ), green peppers, onions, mushrooms, mozzarella, and of course sauce. It was bloody tasty1.